There are a number of offers available for pick-ups and drop-offs between May 1 and July 31 for various destinations including Whitehorse, Halifax, Calgary, Toronto and Montreal for 2019. We also now have prices for 2020, so please ask for a quote. What is the Minimum Rental Age? You must be at least 21 years old to rent a motorhome and hold a valid driver’s licence. This licence must be valid until at least one day after you drop off your vehicle. Can I travel into the USA with my rental vehicle? Yes. Unless US travel has been included in your rental at no cost, you will be charged C$10.00 for each night you spend in the USA. Please also note that U.S. Customs will not allow fresh meat, fruits, vegetables, and other groceries across the border. If you are planning on crossing into the USA we suggest you shop for your groceries once you are in the United States. Can I Leave my Suitcase at the Rental Station? Yes. As long as you are picking up and dropping off at the same location, you can unpack your suitcase in your motorhome and leave the suitcase in storage at the rental location. There is no charge for this service. How many people can travel in each motorhome? This depends on the vehicle type. Canadian transport regulations state that each person travelling must be wearing a seatbelt. The number of people able to travel in each motorhome is dependent upon the number of seatbelts provided. Are there radios and CD players in each vehicle? There is a dash radio/cd player in every motorhome. We suggest that you bring an FM adaptor if you wish to play your portable mp3 player in the vehicle. Can you rent child seats? Yes. We can rent our guests baby seats, child seats and booster seats. During peak season these may be in short supply so we suggest you book these prior to your arrival or bring your own with you. We don’t rent portable cribs, strollers or playpens. What does the Preparation Fee include? This fee includes transfers to and from the airport & airport area hotels, and vehicle preparation. This is usually included in your rental price and should be mentioned on the quote/invoice. Owasco do not include the transfers. What is a Convenience Kit? This includes bedding, linen, cooking wares, dishes and cutlery and is per person. This is usually included in your rental price and should be mentioned on the quote/invoice. We are able to refer you to mountain bike rental stores in Vancouver and Calgary only. Sorry, this option is not available for one-way rentals. The approximate cost per bike is $100/week. How many drivers are included in the rental? One driver is included in the rental. Canadream charge $ 5 per night for the entire rental period per additional driver. There is no coverage should an unauthorized driver be involved in an accident. When can we pick-up the vehicle? The pick-up time of our vehicles is between 1.00 pm and 4.00 pm from Monday to Saturday. Please call the station on the morning of your pick-up to schedule your pick-up appointment. Before you pick up your vehicle, we need to ensure it has been cleaned thoroughly and checked mechanically. Arriving at a station without a prior appointment may result in delays, so please try to phone ahead so we can ensure things go as smoothly as possible. How long will a pick-up process take? From the time you arrive until you leave the station, it may take anywhere from 1 to 2 hours. Please count on approximately ½ hour for the paper work. The personalized vehicle instruction may take anywhere between ½ to 1 hour. Allocating this amount of time ensures that all your questions can be clearly answered, and that you are fully aware of how to operate your vehicle before you leave on your trip. We would like to pick-up or drop-off on a Sunday. Is this possible? Yes. From May 1 to September 30, CanaDream is open on Sundays and our normal pick-up and drop-off times apply. From October 1 to April 30, we are open on Sundays on request only and a fee of $375.00 per occurrence may apply. What are the fees for the campsites? Fees range from $10 to $30 per night. What is the extra kilometre cost if I go over? The cost per extra kilometre is 37 cents. Do you rent GPS Navigation Systems? Yes. GPS navigation systems are availabile as a rental option with all our vehicle types. What happens if I have a breakdown while renting the motorhome? Provides you with 24 hour toll-free emergency assistance in the event of a breakdown or accident. One of our technicians will be available to provide you with advice and help. What is the security deposit at pick-up? A refundable $750 ($1,500 for a driver between 21 to 24 years) security deposit will be processed on a credit card at the time of pick-up. This deposit MUST be made by credit card and will be refunded to the same card at drop off as long as the vehicle is returned in a clean and undamaged condition with all equipment and/or convenience kits returned. 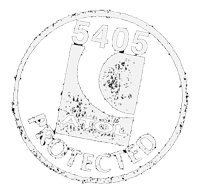 In addition, an open credit card imprint is taken with all rentals and it will be destroyed at the time of drop-off. It is important to be fully covered when hiring a motorhome as any damage can be quite expensive to repair. All CanaDream vehicles are insured with $5-million public liability and property damage. A deposit of $750.00 to $1500.00 is required on a major credit card for the collision and comprehensive Insurance deductibles as outlined below. The deposit is refundable upon the return of the vehicle in the same condition as it was received and not involved in any incident claims. Any guest that is involved in an incident will have their deposit held (to the maximum charge listed below) for a minimum of 60 days until the incident claim is closed. Claims that are less than the deposit amount will have the difference refunded to the Guest upon closing of the incident claim. The guest is responsible for the maximum charge detailed below where expenses include, but are not limited to: towing, storage fees, damage to CanaDream Inc. vehicle, damage to third party property, injury claims, insurance adjuster fees, legal fees. In addition, a $100 administration fee will apply to every accident. Our insurance does not cover liability for loss of personal property, nor does it cover costs for accommodation, transportation or replacement of vehicle if the vehicle is stolen or should an incident occur that makes the rented vehicle inoperable. In these situations and, depending on availability, a new, signed, rental agreement must be in place before a replacement vehicle is provided. Incidents must be reported within 24 hours and be accompanied by a written accident report and police report or file number. Will I be charged if I drop my rental vehicle off late? A late drop-off charge of $75.00 per hour will be charged if the vehicle is not returned on or before the drop-off time stated in your rental agreement. The maximum charge for late drop-off will not exceed $600.00 for each 24 hour period. May I smoke in the vehicle? No. If cigarette smoke is detected in the unit at drop-off, a $500 defuming and sanitizing charge will be applied. Are we permitted to tow anything? Can I put a canoe or other objects on the roof of the vehicle? Normal drop-off times are between 08:00 and 10:00. You do not need to book a time to drop-off your vehicle. Please ensure you are back at your drop-off location and all your possessions are removed from the vehicle no later than 10:00. If you have a late drop-off, this will be noted on your Rental Agreement and, in this instance, you may return your vehicle anytime before 15:00. As long as the vehicle is returned in a clean, undamaged condition with all equipment and/or convenience kits returned (and holding tanks emptied), the drop-off takes approximately ½ hour. Yes, both the gray and black water tanks must be emptied at an appropriate dump station before the unit is returned. If the vehicle is returned without being emptied, a $75.00 charge applies. How much fuel do I need to return with the RV rental? You will receive the vehicle with at least ¼ tank of fuel, (full if Owasco), You must return it with the fuel at the same level as pickup or you will be charged a fuel fee. Propane tanks may be returned empty. We do not offer a refund if the vehicle is returned with more fuel than at pickup. View the available range of motorhomes and motorhome holidays.